Kim Ballestrin is a passionate and highly skilled Principal Consultant at Elabor8 working on the Agile transformations of large enterprises. She has over 20 years of diverse management (IT) experience, helping some of Australia’s most prominent organisations on their Agile change journey. Kim is an experienced technologist, having worked in roles from IT business analyst through to program and delivery centre management. She specialises in Lean, Cynefin, Agile, Systems Thinking, Design Thinking, DevOps and ideas to improve the ways that companies work and deliver value to customers. 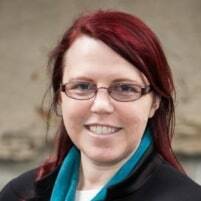 Currently the organiser of the Melbourne Cynefin and Lean Coffee Meetups, Kim regularly presents and runs workshops at leading local and international conferences on the Cynefin Framework, Decision Mapping and Early Idea Feasibility.